The key to any Challenge is to be passionate about the subject matter. A good friend, Dawn Pollard, while at a stitching retreat, challenged me into this with these words, “Six colors, One Shape…, GO!” By the end of the day this design came into being. Using the color wheel for the 6 colors, I twisted, turned, flipped, and most importantly, inter-locked the design like so many square paperclips. 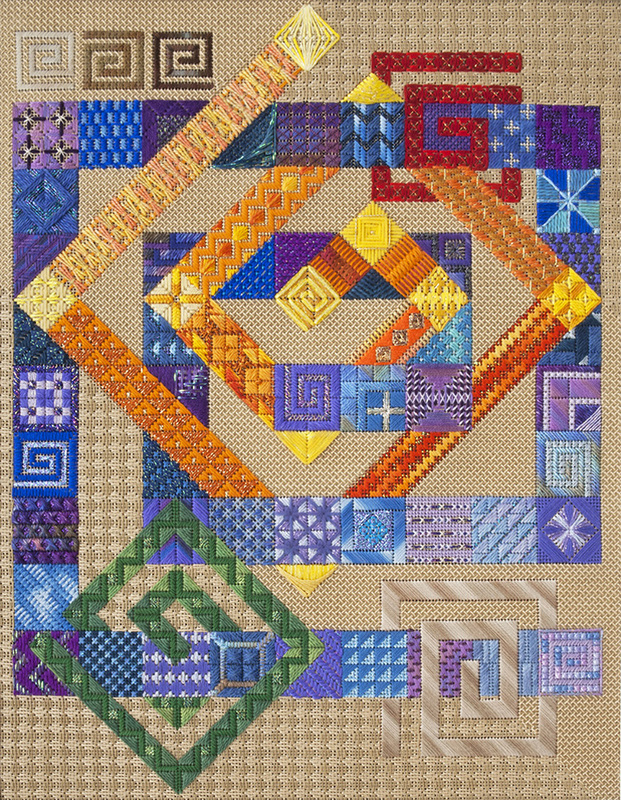 Using many varied stitches and some interesting combinations along with as much of my stash as I could, “Challenge is Key” grew on a daily basis. I chose to play with dimension as well as the fluid nature of design shape itself. I tended to simplify color choice along the way.